(CNN) -- An unexpected and sudden spotlight on the Special Olympics, an organization that for more than 40 years has served and honored those with intellectual disabilities, comes less than two weeks before the nonprofit launches a new campaign: Spread the Word to the End the Word. 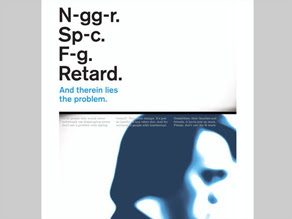 March 31 is being billed a "national day of awareness," a call to Americans to recognize and rethink their use of the word "retard," or as the organization would prefer, the "R-word." p.s. i know i'm going to hell...oh wait, jews don't have hell...retard retard retard.